The paper “The spectrum of finite depth water waves“, by Benjamin Akers and Dave Nicholls, has been published in the Euro J Mech B/Fluids. They study the spectrum of periodic travelling gravity waves on a two-dimensional fluid of finite depth, numerically simulating the changes in the spectrum as the wave amplitude is increased. 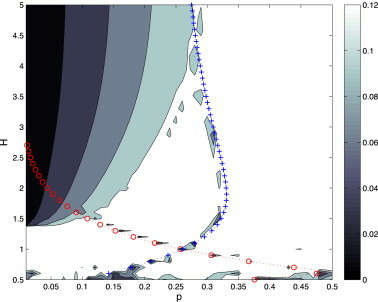 They observe an instability which is analytically connected to the flat state for kh∈(0.855,1). A link to the paper is here.